I liked the theory of this book and the answers the novelists gave were interesting. Above all, the neatest thing about this was how some of them agreed on some subjects (even if they put it differently) and yet had dynamically different opinions on other subjects. 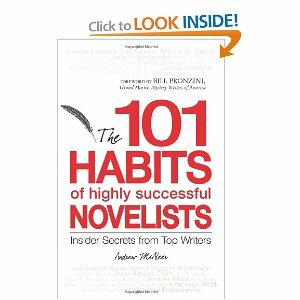 That said, to be a bit persnickety here, the book had little to do with the habits of the authors and more to do with their opinions – which, by definition, are not the same thing. Therefore, I think the title is somewhat deceiving. Combined with the answers being short and sometimes vague, it wasn’t as helpful as one might think from the title. Analysis Mr. Spock – an interesting read if you’re looking for snippets of opinions from various authors. If you’re looking for more in depth modes on actual work/writing habits it’s best to look elsewhere.